Blurb Description: Kara Winters is always striving for perfection. 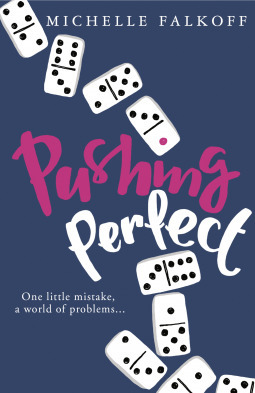 But when her anxiety takes over, the price of perfection spirals out of control… 'Perfect' Kara Winters has always hated her nickname. Especially now that she no longer lives up to it. She used to have normal friends, she used to be normal. Now all she wants is to get into Harvard and leave high school behind. But she never expects to get caught out. Or that Alex, Raj and her other not-so-perfect new friends might get embroiled in a horrible mess that could ruin all of their futures. Sometimes perfection isn't what it's cracked up to be. I finished speed reading this book about half an hour ago in class, and I'm struck by how easy it was to actually fall into the world. 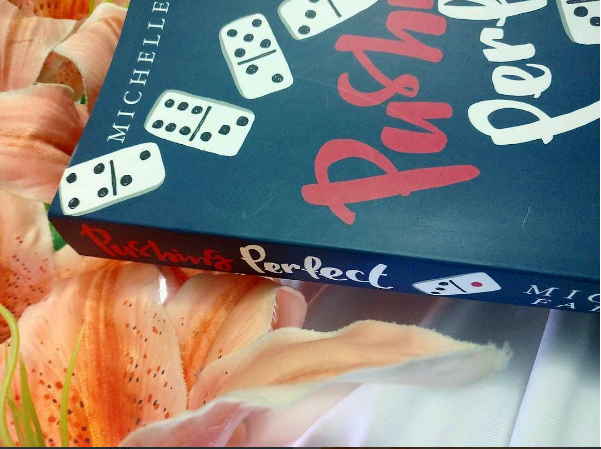 Michelle Falkos created this easily relatable main character, and a world that was just the right amount of complicated for someone to slip in and enjoy. Kara Winters has always been the perfect girl. Ever since she scored perfect marks in all her grade school tests, and her teacher call her perfect, the name stuck. She used to have two best friends, a shot on the swim team and a good social life until her skin problem hit her out of nowhere. Anxiety grows on her as does pressure when she reaches senior year, and just the thought of taking her SAT's causes panic attacks. So, with the help of her new friends, she takes some “study aids” to help her focus and gain her some confidence to make new friends. Until, that is, an anonymous person begins to blackmail her; asking for her to buy more drugs and drop them off, and then the game is afoot. Thinking about it now, the only thing I can think off is how EVERY SINGLE CHARACTER in this book got off scot-free. There were NO CONSEQUENCES Portrayed in the novel – AT ALL – for the illegal online gambling, the fake prescriptions, the possession and sale of drugs and the countless other characters in the blackmail ring. NONE AT ALL. Which made it feel only a little unbelievable. If I’m being totally honest, I didn’t understand the characters much either. I have best friends that have STUCK WITH ME through awkward puberty stages, three strikes and more and well, it all just seemed a little immature that Kara’s BEST FRIENDS didn’t care that she was a) having a panic attack b) miraculously transformed to high school divas and c) DIDN’T BOTHER TO CONTACT HER AFTER THEY KNEW ABOUT HER PROBLEM. While I did have a few problems with the book, there were certainly some plus points as well. Alex and Raj were definite plus points in the book! I loved how they were brought in, I loved their vibrant personalities and even their problems. They were easy to get to know and easy to relate to, and I REALLY liked them! I also loved how UNPREDICTABLE the ending was. I seriously did not see that coming. All in all, this was a book that I definitely recommend – it’s easy to slip into, handles the pressure of school and friendship and it a GREAT way to pass the time! 3.5 stars. Michelle Falkoff is also the author of Playlist for the Dead. Her fiction and reviews have been published in ZYZZYVA, DoubleTake, and the Harvard Review, among other places. 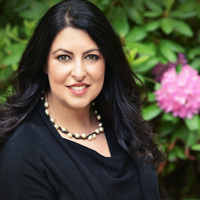 She is a graduate of the Iowa Writers’ Workshop and currently serves as director of communication and legal reasoning at Northwestern University School of Law. Visit her online at www.michellefalkoff.com. Have you read Michelle Falkoff's Playlist For The Dead? What did you think of it? What are some of your best reads on teen drug abuse? Don't forget to leave me your links so I can visit your lovely blogs!